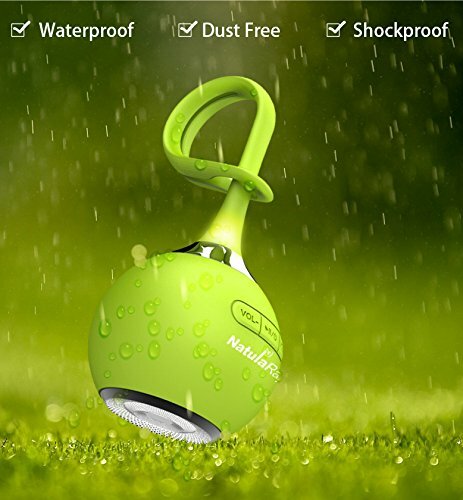 I’ve used a number of small/mini/portable bluetooth speakers. All have had their advantages and disadvantages. Some have been awful. Some have been great. But all-in-all you can’t deny the awesomeness of a portable bluetooth speaker when you’re at the beach, camping, hiking, or dare I say, in your old heap of a car whose deck unit has just blown. In this day and age it’s hard to live without music on the regular. 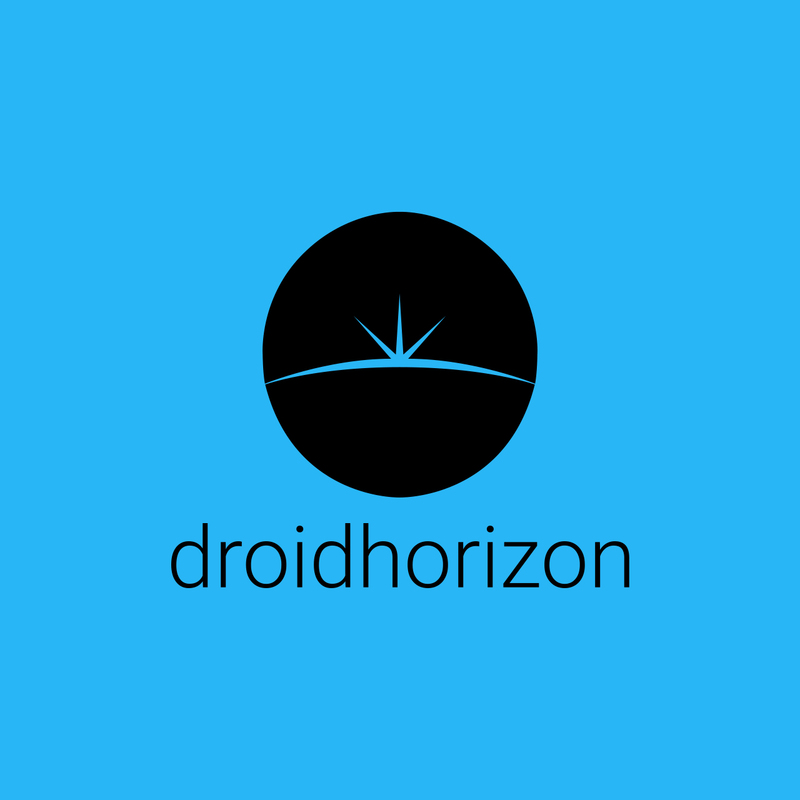 Personally, I have my bluetooth headphones on all day streaming Google Music. 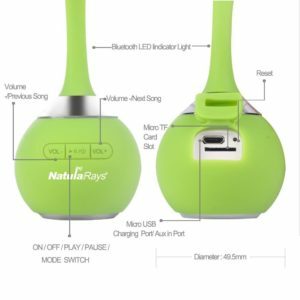 This NatulaRays bluetooth speaker has been wonderful to use. For starters, this particular one just looks fun, covered in a bright neon green silicone and chrome speaker grill. It also sports a very cool portable compact spherical shape with a “special hang-up design”. Being covered with a silicone material it can stretch and twist as it hangs off your backpack or beach chair. I’ve found this speaker to be louder and clearer than others of similar sized bluetooth speakers I’ve used. It’s also water resistant. So take it to the beach and lake, and hang it from your bag without a worry. I’ve been using it outside as I grill in the evenings for a couple hours at a time the last couple weeks. Although it hasn’t been a consistent all day use, it hasn’t needed a charge yet. I suspect I’m creeping up on a dead battery soon, but who’s to say until it happens. I can probably count about 6hrs of use since a full charge. 7″ long from end of the “tail” to face of speaker, and a 2″ diameter speaker housing. Playback time of 8-9 hours, with a 3 hour charge time. Bluetooth v3.0, micro-sd card, or an auxiliary cable to push your tunes. I’ve really enjoyed this little speaker, and will continue to use it as I have. 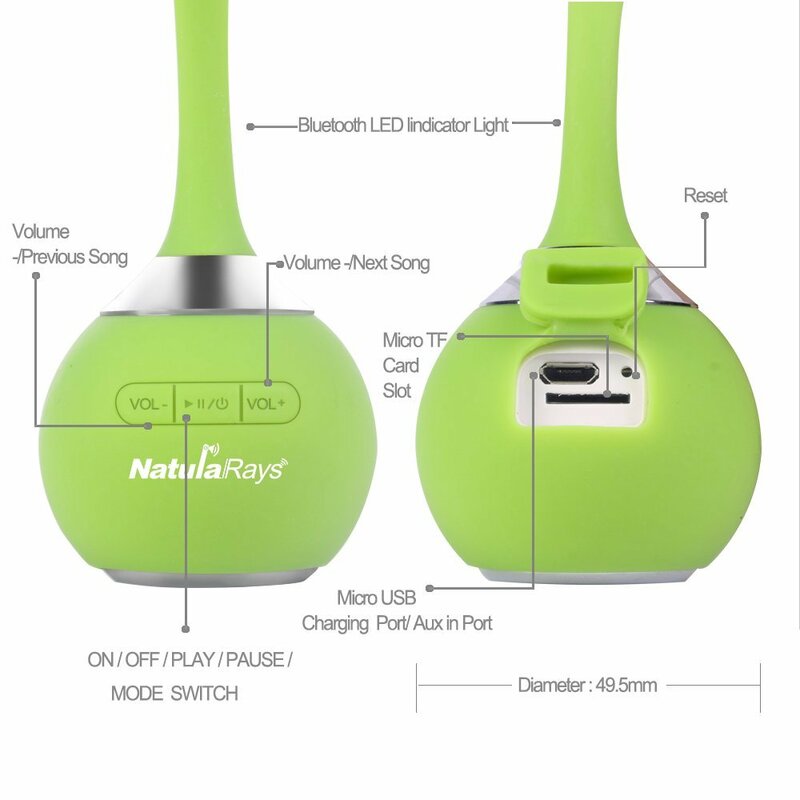 Although almost $30 may be higher than most consumers would want to pay for this portable device, if you enjoy the outdoors and music, hands-free, this may be a great addition to your camping gear, or beach bag.